I guess I’ve been spending so much time making sure Mike’s routine was back to normal that I managed to let my own routine stall out. Not that I have a set schedule really, it’s more of a state of mind. But, I did manage to blow off the entire 2nd half of June. Oops. Well, Mike’s routine is back to normal now — he even rode his bike to work this morning — which means it’s time for me to get off my…sofa, and get to work. 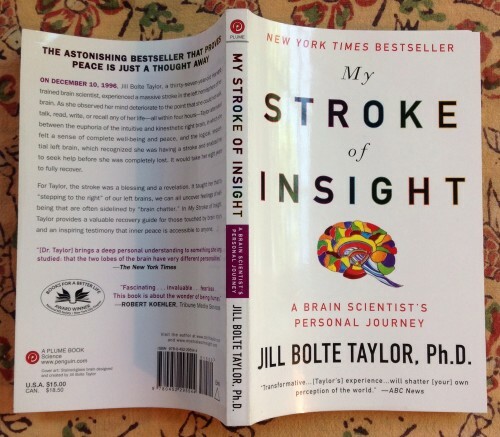 You’d have thought the past couple of weeks prime time for reading, but sadly I didn’t even have the bandwidth for that — hence my lack of “4 Favorites for June.” I did read one interesting book, My Stroke of Insight, by Jill Bolte Taylor, Ph.D., after seeing her amazing TED talk by the same name. Jill was a 37 year old neuroanatomist when she had a massive stroke in her left brain which left her as essentially an infant in an adult’s body. The book details the 8 year journey of her recovery and is a very clear description of the right and left hemispheres of the brain and their very different functions and personalities. Being 72% right brained myself (BuzzFeed tells me so) I was not surprised to learn that my dominant hemisphere is spontaneous and imaginative and perceives each of us as equal members of the human family, all related and necessary to the whole. Our left brains are where we define ourselves as separate and individual, and where we store our attachments to everything in our lives, both good and bad. I was surprised to learn that as Jill recovered she chose not to recover certain “attachments” of her left brain. She let go of resentments and anger from her “previous life” which she no longer had any reason to hold on to as they had happened to the other Jill in her other life. The take away from the book is we can consciously practice “stepping to the right” in our thinking and behavior and unlearn attachments to anger and resentment which are meaningless in the big picture. Hey! Are you thinking what I’m thinking? 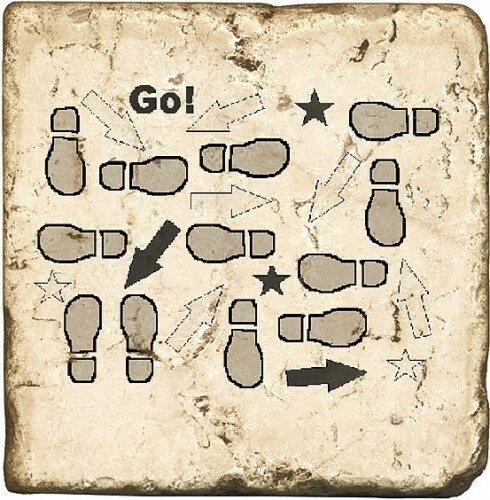 and you turn your thoughts around. Next PostTurns Out I Married Superman!